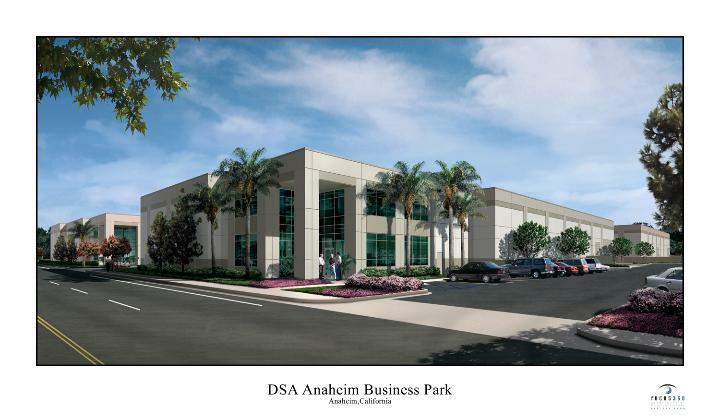 DSA Anaheim Business Park consists of five (5) freestanding buildings, each ranging in size from approximately 20,000 square feet to approximately 40,000 square feet. Project features include two-story offices with 10' ceilings and expansive glass, over-standard finishes throughout, 24' warehouse ceiling clearance, enclosed truckwells with motorized roll-up doors, up to 1,200 amps of 480 volt power, and large, fenceable yards on all buildings. All buildings have been leased or sold and there are no current or expected availabilities.